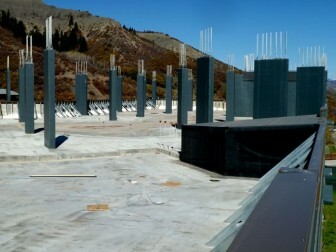 The concrete slab just downhill from the Elk Camp Gondola is the top of the Base Village parking garage. SNOWMASS VILLAGE — The owners of the Aspen Skiing Co. submitted a bid Wednesday to buy the stalled Base Village project from the German government, but Skico executives declined to say how much the bid was for. “We have said before ‘we will continue to stay informed and active in moving Base Village forward,’ and we are doing just that,” Skico spokesman Jeff Hanle said via email. An agency backed by the German government was seeking bids through a real estate marketing firm on the $400 million note from Base Village, which is in Snowmass. Bids were due Wednesday. The offering was structured so the asset itself would eventually be transferred to the successful bidder. The Germans assumed the Base Village debt after a subsidiary of Related Cos. of New York defaulted in April 2009 on a $520 million acquisition and construction loan. The loan was from Hypo Real Estate Capital Corp., a subsidiary of a German bank that failed in the 2008 financial crisis. The bank, part of the Hypo Real Estate Group, was then nationalized by the German government. Now, the Base Village note is on the desk of a banking executive at FMS Wertmanagement, an agency the Germans set up to get as much value as it can for the assets now under its control. The original $520 million Base Village construction loan, along with another $160 million in additional investment funding, was supposed to be enough to build about half of the Base Village project, which in all includes 600 condos and a million square feet of development. In March 2007, when the loan was made, Related estimated that it would sell $407 million worth of condos in Base Village at an average price of about $1,400 per square foot, according to documents made public in subsequent lawsuits over the deal. Today, condos in Snowmass are selling for about $650 a square foot on average, which means close to half the upside in the project might have disappeared. A construction expert the lender hired has estimated that it would cost at least $218 million to finish the work on the section of the project that Related had started. A foreclosure sale has been set for Nov. 16. And so while the offering was for the $400 million note, it was structured so the bidder would end up with the asset itself. Hanle said Skico did not have a firm date on when the company expected an answer to its bid. “The process is complicated,” he said. Nor would Hanle clarify whether it was Skico itself, or another entity controlled by its owners, the Crown family of Chicago, that submitted the bid. It’s also not clear who else submitted a bid on the project. Eastdil Secured, the company offering the note, did not respond to queries, nor did FMS Wertmanagement, the agency charged with selling the asset. And Related Cos. declined to comment on whether they submitted a bid on their former project. Along with Skico, many saw Related as a logical bidder, given that they still own properties on the Snowmass mall and at the Snowmass center that they paid about $100 million for in 2009. Related is also being sued by its lender, the Hypo Real Estate Capital Corp., for about $300 million in loan guarantees. Related and Hypo, however, are said to be in active negotiations about the loan, the lawsuits and Base Village itself. Other regional developers were also said to have been preparing bids. An executive at East West Partners in Vail said earlier this week that he was familiar with the offering for Base Village, but could not comment on if the firm was submitting an offer. Skico CEO Mike Kaplan told the Snowmass Village Town Council in April that Skico had made an offer on the portion of Base Village that included a planned Little Nell Snowmass hotel and the arrival center, but that the company did not get a response. Many in Snowmass Village long have viewed Skico and its owners as potential buyers of the stalled project. 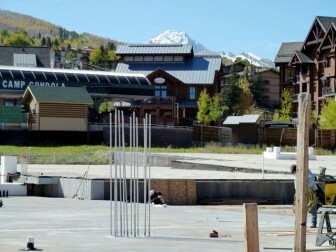 Base Village is, after all, right at the base of the Snowmass ski area. Skico also designed and then developed the Base Village project until early 2007, when it sold it to a Related subsidiary for $169 million. The Base Village project is said to be fraught with risk for any developer, new or old. 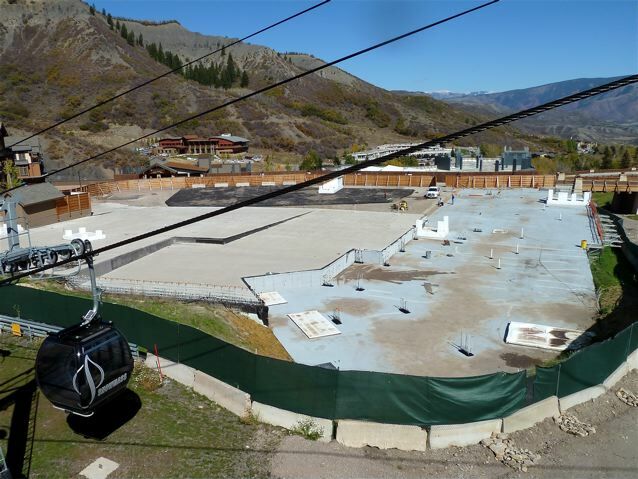 In addition to the soft market for Snowmass condos, the project’s vested rights are in danger of expiring if a number of buildings in the core of the project are not complete by 2014. If the vested rights do expire, the underlying rights to construct buildings of a certain size and configuration would remain in place, but the project would be subject to the town’s updated building codes. And the town then also could change the underlying zoning on the project, which would alter what a developer could build there. 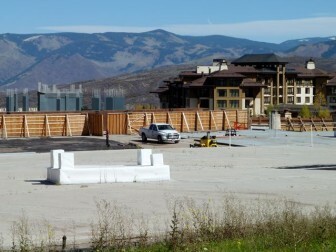 It seems clear that any buyer will have to go back to the Snowmass Village Town Council to talk about the project. “The community has to go through a discussion as to whether our assumptions in 2004 about Base Village are still valid,” said Snowmass Village Mayor Bill Boineau on Thursday. Boineau said he did not know in advance that Skico was submitting a bid, but also said he wasn’t surprised. “I did know a while ago that they had been thinking about it,” he said. Others close to the project said they would be surprised if any bidder offered the Germans a price they would accept for the $400 million note. In a recent court filing, the lender said while the outstanding balance on the Base Village loan was $399,389,571, the total amount it had advanced on the project through August had reached $505 million. And one local developer said the request for bids might have been simply a way for the Germans to better gauge the current perceived market value of Base Village. Editor’s note: This story also ran in The Aspen Times on Friday, Oct. 7, 2011.